My brother-in-law loves to go backpacking, so I thought it would be fun to make him a box card with a backpacking theme. 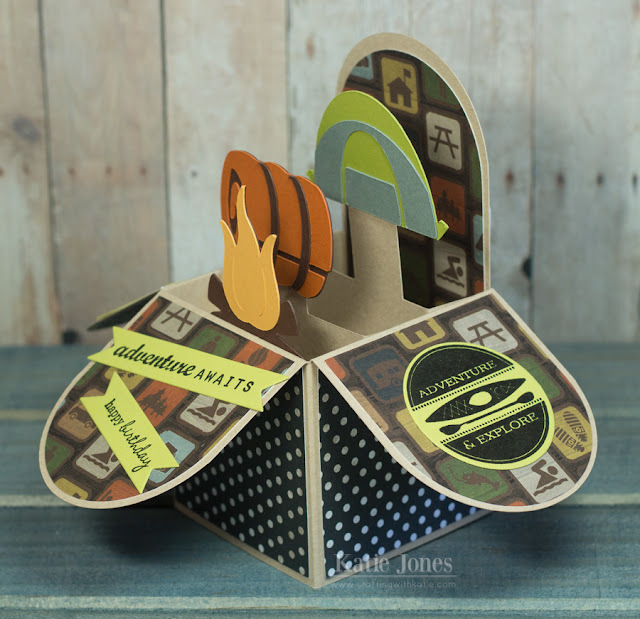 For my base, I used a plain box card from SVG Cuts. Then I added the fire, sleeping bag and tent, which I found in Cricut Design Space (all from the Campin' Critters cartridge, I believe). 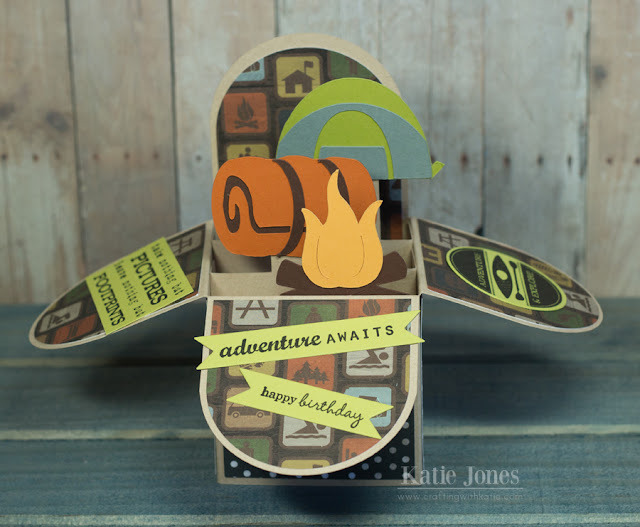 The "adventure awaits" sentiment is from Papertrey Ink's Road Trip stamp set, and "happy birthday" is from PTI's Ribbon Tails. I stamped them onto die cuts I made with PTI's Double Ended Banners Die. 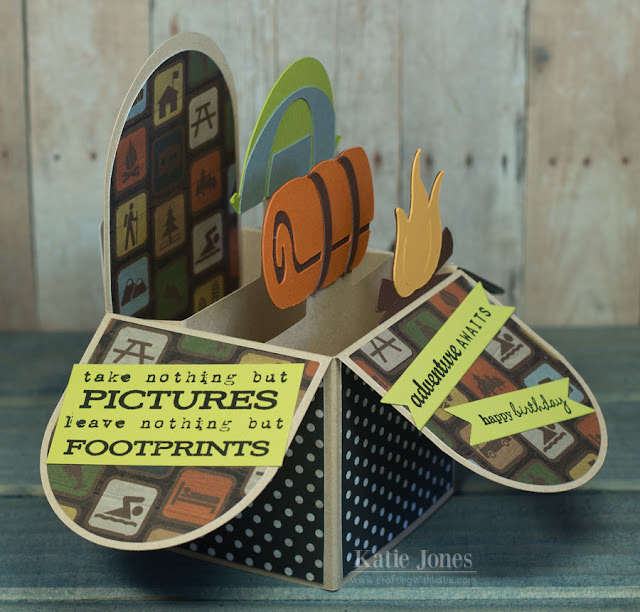 This cool "take nothing but pictures" quote is from the PTI Summer Camp stamp set. This last round sentiment is also from Summer Camp, and it's stamped on a circle cut with the PTI Limitless Layers 1 3/4" Circle Die Collection.